What will income and cash flow be like for Gemini in 2018? Your Gemini money horoscope for 2018 gives your detailed financial picture over the year ahead. The yearly financial horoscope prediction for Gemini is the third installment of your Gemini horoscope 2018. This is your cash money prediction and a full year ahead forecast covering the astrological influences around earned and unearned Gemini income such as inheritance, luck and investment income. For riches beyond money, first read the Gemini love horoscope 2018 because money isn't everything, Gemini. The free yearly Gemini astrology for money and income is brought to you by Horoscope Astrology Tarot and we update weekly, monthly and daily throughout the year ahead for up to the minute money forecasts. You might also like to read your Gemini career horoscope 2018 featuring work, job and Gemini business astrology predictions in the year ahead, closely connected to earned income (the second house) as well. Read on for your Gemini 2018 money, income and financial astrology forecast! As far as the money gods are concerned this is a mix of the expected and the unexpected, with the year not revealing all its secrets or potential until later in the year. First impressions make it obvious that this is a huge year for money matters, even more so than in most years. You have the distinction of being the sign that will always start and end each year with the Sun in your financial sector and therefore with the solar spotlight always on your financial situation and money matters from the get go. That is because the Sun moves through from the 22nd December to the 20th January each year and this year is no exception. Since 2008 you have also had Pluto, planet of change and revolution in your financial sector, on a mission to promote financial growth, change and evolution until leaving in 2024. However, for the first time in 27 years, you also move into the New Year with Saturn in your financial sector, where he will stay until 2020. This is the first and only time that you will have Saturn and Pluto in your financial sector in our lifetime and brings you to not just the start of your most powerful financial year ever, but the first of the three most powerful years. With lucky Jupiter joining them at the end of next year, 2020 will be the most powerful. Pluto has been calling for change and evolution since 2008, but Saturn brings the structure, steely sense of resolve and determination to take your power back and make it happen. 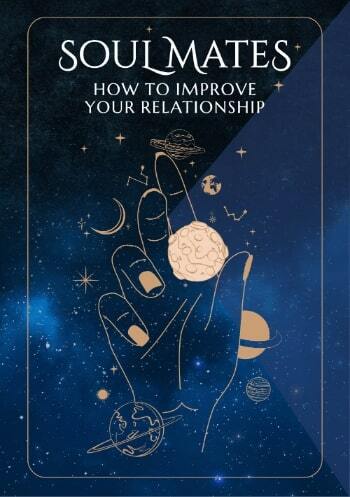 This brings you to the start of a three-year financial boot camp, but with Pluto here you’re not going to get bogged down and you’re not going to spend months dealing with issues. This is the right mix of Pluto’s impatience and Saturn’s patience. There will be a lot of support as the Sun, Mercury and Venus move through in January, but the real support will come when Mars returns to your financial sector on the 18th March. Mars will leave on the 16th May but will retrograde back in for a double dip visit from the 13th August to the 11th September. To have Mars, Saturn and Pluto together in your financial sector is something you’ve never experienced before and to have this extend for so long will allow Mars, warrior planet of the cosmos to really drive things. With the Sun, Mercury and Venus all passing through your income sector from the 20th May to the 23rd July, this fits neatly into the break that Mars will take from your financial sector from the 16th May to the 13th August. However, having Saturn and Pluto on the other side of the sky will keep income forces on their toes. This is when the element of the unexpected comes into play that I alluded to at the start. 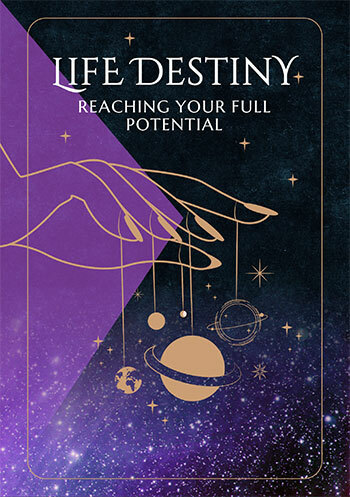 The Sun’s departure from your income sector on the 23rd July brings all planetary activity on the income front for the year to a close, but the North Node’s return on the 7th November opens the door to an especially fateful and lucrative period that will run through to May 2020.